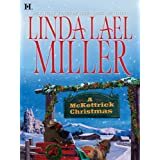 A McKettrick Christmas – This another one of those fluffy spinoffs from a romance series. But … it was actually pretty decent. The story was more thriller and character drama than romance, although there definitely was some of that. We’re back in the old west and a train is coming across the mountains toward a small town in Arizona just in time for Christmas. Only an avalanche brings the train to a halt and buries it for days. The story focuses on Lizzie McKettrick, who is heading home with her hopefully soon-to-be fiancee. But the disaster reveals the truth of a lot of characters as they wait desperately for rescue. Enjoyed this one more than some of the others my mom left me. 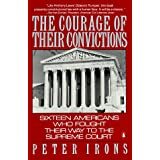 * The Courage of Their Convictions: Sixteen Americans Who Fought Their Way to the Supreme Court – Interesting, intriguing, disturbing. And not very well written. 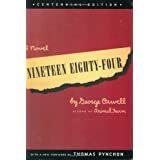 The book was published in 1990 (paperback) which means we’re missing a lot of recent decisions (example being the last case in the book, which failed then, but has succeeded since then). But the cases listed cover some really big issues that we just take for granted these days – like being able to work through your pregnancy or buy a house wherever you want or not sign a loyalty oath to keep your job. The book runs through the history of the time that led to case, walks through the arguments on each side and takes us to the eventual decision. The author then attempts to tell the story of the individual who brought the case – with every story starting with “I was born in …”. Ugh. Learning about the cases was great, the non-fiction parts weren’t always presented clearly and the attempts at first-person stories just fell flat. Once I figured that out, I started skipping past them altogether. Traitor in Lissom Grove – Ah, how I’ve missed the Pitts. Although, this wasn’t so much about them, or at least didn’t feel like it. Because the case they were trying to crack involved a standard character, there was so much more going on than usual. We got to be inside a third person’s head for once. Still, a solid Perry novel and some interesting new directions now that PItt is in Special Branch rather than just a copper. Now, can we have a new Monk novel? Definitely among the best historical mysteries I’ve ever read, so I’d love to have more of those. The Pitt ones are fabulous as well, of course. 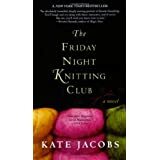 The Friday Night Knitting Club – Part of a stack of chick books a friend gave me. And a nice satisfying read. Although – surprise! – it made me cry as the main character (spoiler!) is diagnosed with cancer and dies shortly thereafter. At some point, books are going to stop reminding me of my real life. The cover the book has a blurb calling it “Like Steel Magnolias set in Manhattan”. And I can’t give you a better description than that because that’s exactly what it was. And just as warm and comforting. 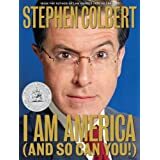 * I Am America (And You Can Too) – This was on the reading challenge list and I’d be afraid for anyone to “be” this book because it would be too easy for someone to miss that it’s satire. Satire, people! And if read that way, it’s pretty funny. Of course, the reader in me loved that it had a cloth bookmark attached. Awesome. Not for anyone who’s never watched Colbert because – again – you kind of need to be able to hear him in your head to really appreciate the book. His over-the-top, utterly unbelievable comments just have to be taken in the right light. 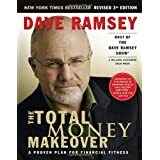 Total Money Makeover – More research in advance of launching our business and to see what will appeal to our eventual audience with our own book. I’m not a Dave Ramsey fan at all. But my sister is pretty into him. Quotes him quite frequently as I discovered as I was reading the book. Anyway, I might not like listening to Dave much, but I certainly am behind him on some of his philosophies. Like debt being evil and cash being king and financial issues being a behavioral issue more than anything else. We grew up with this kind of thinking in my family, but most people didn’t. Not even close. If you’re willing to accept those concepts, this book might be a help to you. If you don’t, don’t bother reading it because it won’t make sense to you. 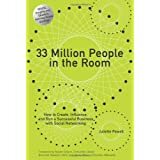 33 Million People In The Room – Picked this up for research for my husband for some community building ideas. Ended up scanning through it, and it would be great for someone who has no clue about social media. But it’s a few years old and it shows because many of the sites listed in there are no longer in existence. Still, it gives a decent look for people who really have no clue about this area. Which is a stunning number of people, actually. If you have an executive trying to get a handle on it, this might be a good place to start, but don’t leave them hanging with just this. Add on some more recent books that will give them a more accurate and up-to-date view.